1. Without the congestion reduction charge, about nine million rides a year will be lost–forcing an additional 15,000 car trips a day onto the county’s already congested highways and roads. 2. Four of every five riders will be directly or indirectly impacted if the congestion reduction charge is not approved. That means people will be walking farther, waiting longer, making more transfers, and standing in the aisle or at the curb as loaded buses pass them by. 3. Area businesses support Metro. Employers purchase bus passes for more than 175,000 employee rides per day. 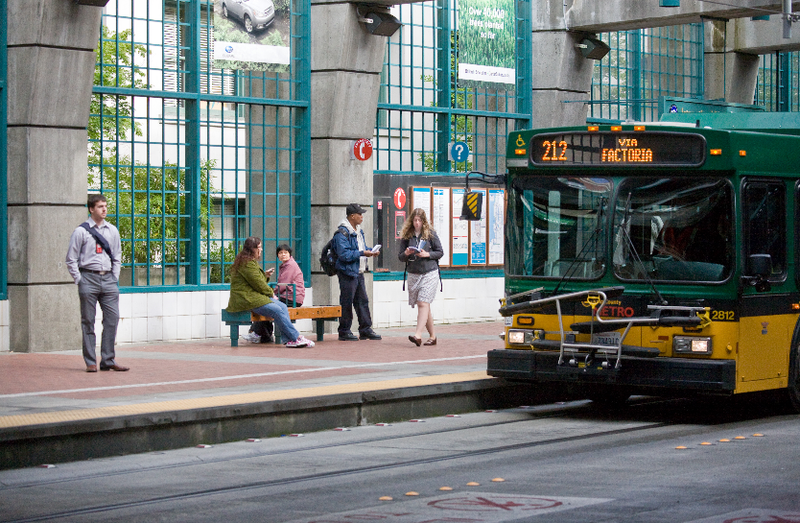 The Seattle Chamber of Commerce, Bellevue Downtown Association, and Microsoft are leading members of the Transit Rescue Coalition. 4. Metro keeps its promises. Before the economy collapsed, Metro delivered 99.9 percent of the service promised in the voter-approved 2006 “Transit Now” initiative. After the collapse, Metro sustained service even though revenues dropped by twice the amount Transit Now was supposed to raise. 5. Metro has taken numerous steps to become more efficient and has overcome $400 million in shortfalls through cuts, efficiencies, labor agreements, one-time reserves, and higher fares. 6. Rather than cutting the entire system, Metro is becoming more productive by shifting bus service to routes that more people will use, like the new RapidRide line on Pacific Highway South and the expanded service on the SR-520 bridge. 7. In July, nearly 1,000 people turned out at County Council hearings and more than 15,000 commented via letters, petitions,and emails about potential Metro service cuts–the most extensive display of engagement on a county issue in recent memory. The overwhelming majority supported the congestion reduction charge. 8. Metro ridership is beginning to return to its pre-recession high in 2008, which capped a three-year period when Metro ranked among the nation’s fastest growing transit agencies. Even today, Metro is among the nation’s top ten transit agencies for bus ridership. 9. Daily Metro riders are already paying $400 to $500 more per year after four consecutive annual fare increases. About 95 percent of these riders own cars, so they would also be paying the $20 charge if it is approved. 10. The Seattle area has the 10th worst traffic congestion in the nation, costing us $2.1 billion annually. This adds 44 hours of delay sitting in traffic and more than $1,000 in fuel and time. Motorists in our region save $346 million per year in fuel and time costs because public transportation reduces congestion.